Simran Singh, 11:11 A Magazine Devoted to the Journey of The Soul. Simran is founder and publisher, creating this vehicle as a means of broadening minds and opening hearts to various teachings, philosophies, and tools available for personal growth and spiritual development. http://www.1111mag.com. Lana Dahl, Advanced CranioSacral Therapy, Quantum Energetic Disciplines™ . Lana is a master level practitioner with the most intuitive/sensitive touch I have ever experienced. Great for both maintenance and for serious physical/emotional ailments. http:/lanadahl.com. 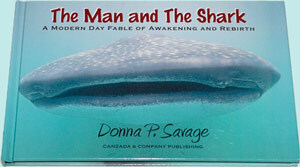 Janet Doane, Artist, Author & Raw Food expert. Check out her work and her wonderful recipes at "The Healing Feast." Not only are her recipes fantastic but she also shares lovely heart-centered stories, and a has several books published. Check out http://www.thehealingfeast.com. Listed below are websites of people whom I have worked with personally or with whom I have participated via on-line forums, conference calls, or other resources. The interactions have all been beneficial to my well-being. I recommend them and their offerings. Each person exhibits professionalism and integrity and is dedicated to bringing light to all they meet.